Every dog needs a bath now and then, and dog shampoos perform like human shampoos to help cleanse away dirt, excess oils, and sebum buildup from skin and hair. PetMD states dog shampoo is specially formulated with pH levels that meet canine needs, and many products use a non-tearing formula which is more gentle on your pet's eyes if suds reach them by accident. 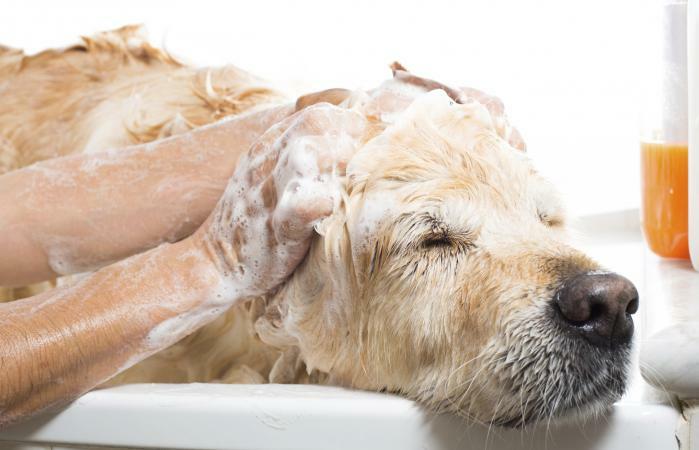 There are numerous dog shampoo products on the market, and choosing the best one is just as important as the bath itself - leading to a happy, clean and healthy pup. Is Pom Pup's Coat Normal? When your dog is dirty or stinky, this is the type of shampoo to use. It's usually scented, which can make your dog smell nice, but if your dog has sensitive skin you should avoid these. Many also contain conditioners, but dogs with longer coats usually require an additional cream rinse product to help ease out tangling. Wahl 100% Natural Shampoo - This shampoo is formulated with gentle, natural ingredients like oatmeal, coconut, lime, aloe and lemon verbena which clean fur and skin without drying them out. Labrador Training HQ listed this shampoo as one of their 10 favorites, citing that it relieves itchy skin, has a pleasant scent that keeps their dogs smelling fresh, and that only a small amount is needed to achieve a good lather. A 24-ounce bottle of Wahl Natural Shampoo can be purchased for under $6. Paws & Pals Organic Pet Wash Shampoo - A tear-free, organic and vegan formula derived from 100% natural and non-toxic jojoba, aloe, and coconut oils. The shampoo moisturizes the skin and fur and cleans away any odors. Over 1,400 Amazon customers give this shampoo an average of 4.4 out of 5 stars. 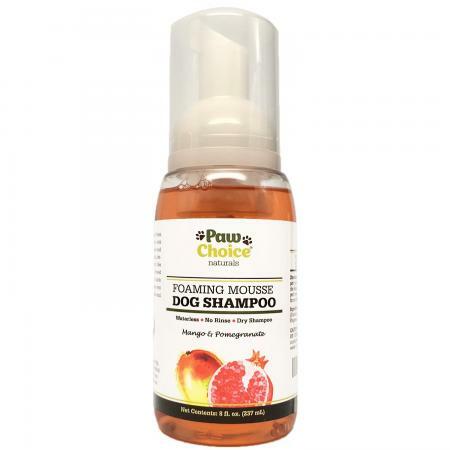 Reviews for this product reveal that the shampoo smells nice without being overwhelming, and this formula has assisted with many dogs' dry skin, leaving their coats soft and silky smooth. A 20-ounce bottle retails for $9.95. Bio-Groom Super White - This shampoo's main cleansing agent is coconut oil, and it's designed to make white fur look cleaner and more brilliant without bleaching it. One hundred percent of customer reviews on PetMountain give this product 5 out of 5 stars and cite how bright it keeps their dogs' coats without drying out their skin. The shampoo is concentrated and designed to be used in a 4:1 dilution, so it's economical as well. A 12-ounce bottle costs under $7, and you can purchase a 32-ounce bottle for about $14. If your pet has sensitive skin or has had an allergic reaction to regular shampoos in the past, a hypo-allergenic shampoo might be a better choice for him. These products tend to use natural ingredients instead of harsher chemicals that can strip the skin of natural oils. Vet's Best Hypo-Allergenic Shampoo - This soap-free product contains a mixture of aloe vera, allantoin, panthenol, and vitamin E to soothe and moisturize sensitive skin. PetCareRX includes this product in their recommendations for the best dog shampoos for any situation due to its soap-free tearless formula that works well for dogs with sensitive skin. A 16-ounce bottle sells for under $6, and it can be used on dogs that also receive topical flea treatments. Earthbath Hypo-Allergenic Shampoo - This product is designed to soothe irritated skin using essential ingredients which include coconut-based cleansers, aloe vera, and olive oil squalene. Customers at Chewy.com give this shampoo 5 out of 5 stars. Positive comments include how good a dog smells after using the product due to its vanilla and almond scent as well as how clean and soft the animal feels and the lack of itching after the bath. A 16-ounce bottle sells for about $10 and, like Vet's Best, it can be used on dogs that also receive topical flea treatments. Medicated shampoos are available at most pet supply stores or by prescription from a vet, depending on the severity of your dog's condition. These shampoos are formulated to treat skin irritations as well as cleanse your dog's coat. Dogs suffering from itchy staph infections and other psoriasis-like conditions may benefit more from these grooming products since these products provide some relief of bothersome symptoms. Malaseb Medicated Shampoo - Antibacterial, antifungal elements are combined with coat conditioners to de-grease your dog's fur without stripping it. This formula is unscented and formulated to address skin infections that are responsive to miconazole and chlorhexidine, killing pathogens in just minutes. Ninety-eight percent of Chewy's reviewers recommend this product, and it carries a 5-star average rating. 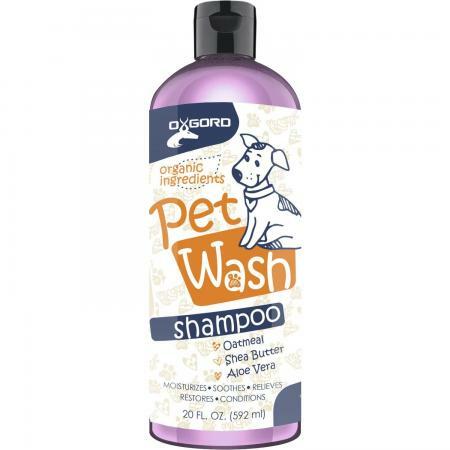 Consumers reported fast relief for their pets from allergens and hot spots after using this shampoo. A 24-ounce bottle costs $24.29. TropiClean Medicated Oatmeal and Tea Tree Shampoo - This shampoo addresses dry, flaky and irritated skin naturally with salicylic acid without leaving behind residue or tangling the fur. Petco sells a 20-ounce bottle for under $13, and gallons are for sale on Amazon for $46.98. Nearly 1200 reviews on Amazon average TropiClean Medicated Shampoo a 4.5 rating, and customers love how it helps get mats out of fur and soothes itchy skin. Insecticidal shampoos contain chemicals that kill any fleas and ticks on your dog at the time of the bath. Some of these shampoos even have a residual effect, meaning they stay in the dog's coat for a few days afterward to help repel further infestation. According to Doctors Foster and Smith, pyrethrins are usually the insect killer of choice. You must leave the suds on your dog for as long as the label directs to be sure you've killed the bugs and not just stunned them and then rinse thoroughly. Always follow label directions to the letter and avoid getting these shampoos in your dog's eyes and mouth. If this happens, flush the area thoroughly with cool water and call your vet for further instructions. Ask your veterinarian to help you choose a flea and tick shampoo that is safe and appropriate for your dog's age because young puppies may not be able to tolerate these products at all. 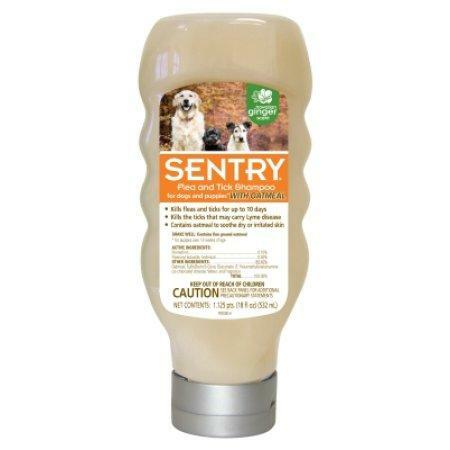 Sentry Flea and Tick Shampoo (pictured) - This shampoo kills fleas and ticks for up to 10 days and comes in a Hawaiian Ginger scent. The shampoo contains oatmeal which aids in cleansing and deodorizing. Sixteen customer reviews at Petco average a 4.3-star rating, with many reviewers explaining that they saw immediate skin relief on their dogs and continued relief for 10 days from fleas and ticks after use. You can acquire an 18-ounce bottle for under $9. Adams Plus Flea and Tick Shampoo with Precor - This lathering shampoo contains oatmeal, coconut extract, lanolin, and aloe, leaving your dog's skin moisturized and his coat smooth. The formula kills fleas, ticks, and flea eggs, and the Precor in this bottle is an insect growth regulator that provides control of pre-adult fleas for 28 days. One hundred percent of 16 reviewers on Chewy recommend this product, stating the shampoo is effective on fleas and ticks but is not harsh. A 12-ounce bottle can be purchased for under $9. Waterless shampoos are quite different from other doggy shampoos, and they're typically used when a full bath isn't possible, or your dog dislikes water. These self-rinsing shampoos require no water, and they're perfect for spot cleaning or for giving your dog a bath when you're not able to get him into a tub. Just squirt the liquid on the immediate area to be cleansed, work it into a lather with your fingers, and then wipe or squeeze the fur with an absorbent towel to remove the excess liquid and towel dry. Paw Choice Foaming Mousse - A natural, coconut derived formula without the use of chemicals. This cruelty-free shampoo averages a 4.3 rating from 540 consumers on Amazon, with reviews citing the mango and pomegranate scent and quick drying as favorite elements of the shampoo. This foaming mousse can be purchased for about $16 for an 8-ounce bottle, and a little goes a long way. Wahl No-Rinse Waterless Shampoo - This 100% natural shampoo is plant derived and contains oatmeal for soothing damaged skin. The product is available not only at pet stores but grocery stores as well, with customers from Target giving this product a 4.4-star rating. Favorite parts of this waterless shampoo include the lack of mess, lack of residue, and conditioning of the coat. A 7.1-ounce bottle can be purchased for under $6. There are quite a few dog shampoos available, each designed with a specific use in mind, so narrow down to the right choice for your dog by considering his specific needs. You can always consult your pet care professional to help you decide which product is best for your pooch, and regardless of your choice, you are certain to enjoy your dog's refreshed, clean, and gorgeous coat.